“Innovation is the mother of invention”. 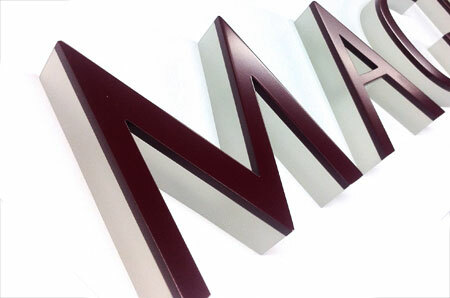 Responding to a customer request, we bonded 1″ thick frosted acrylic to a set of deep purple, water-jet cut aluminum letters to create this stunning letter set. While a sign like this may at first appear to be basic, honing it to perfection requires exacting standards that involved precise calibration of machinery to match the varied materials being cut, accounting for paint thickness and mathematically off-setting the cutting paths to ensure perfect alignment. The final hand-finishing yielded a flawless final product. 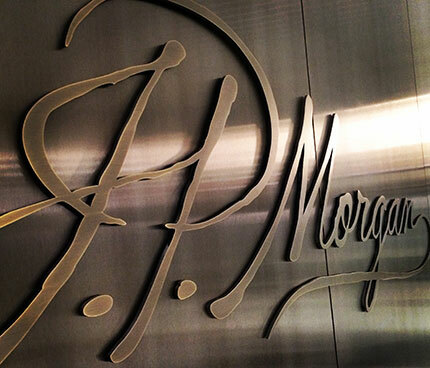 This stunning letter set, bound for a New York City Installation, is another example of the attention to detail and high quality craftsmanship put into every sign we construct.